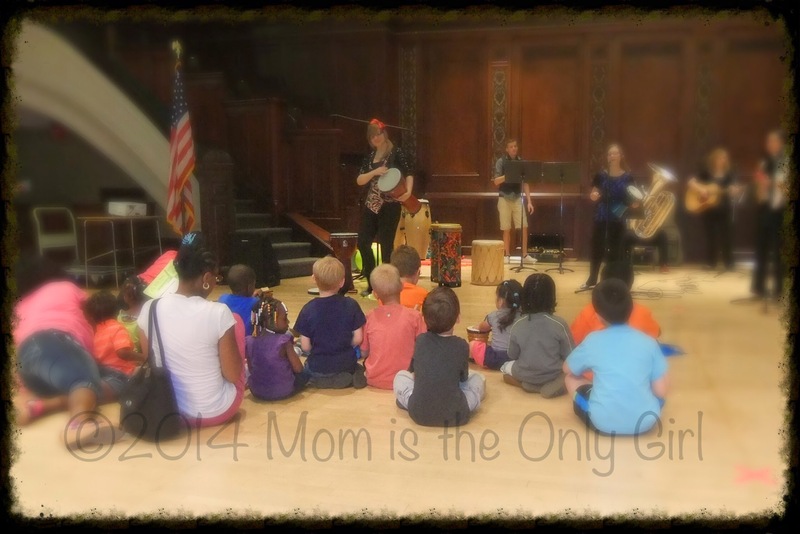 In past years kids have had the opportunity to be part of drum circles, dance classes, and trying out various instruments, and the boys have had so much fun! This year was no different! 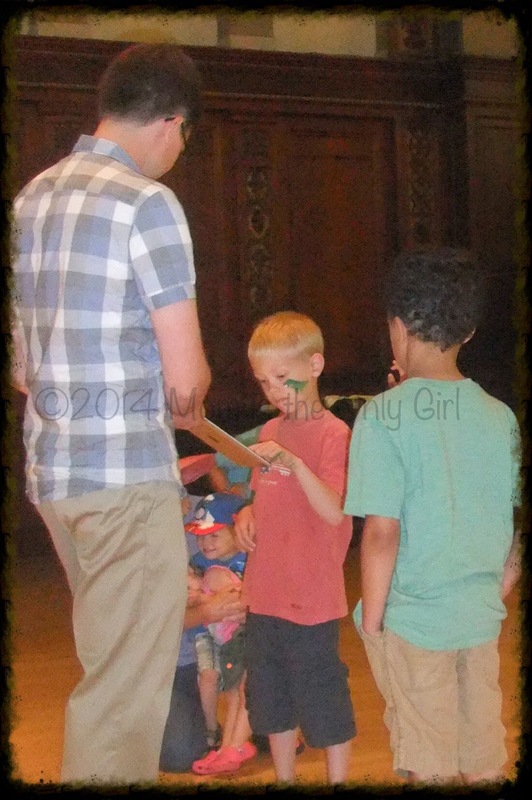 Sweet Pea came home with his own rhythm sticks after hearing stories with instruments as an integral part of the story. They were Max Found Two Sticks, written and illustrated by Brian Pinkney; Hip Cat, written by Jonathon London; The Jazz Fly, written by Matthew Golub; and Jazz Baby, written by Lisa Wheeler. Musicians and their instruments helped tell the stories! Cutie Pie and I made shakers out of toilet paper rolls and visited the instrument petting zoo while waiting for his face to be painted while Sweet Pea and Hubby participated with the stories on the stage. Students at Hochstein School of Music performed for the kiddos. Songs were tweaked just a bit to give many kids an opportunity to try out several percussion instruments quickly on stage. There were drums to drum, rhythm sticks, silk scarves to wave, marimbas to thump. Everyone had a great time! It was for kids of all ages, including adults! 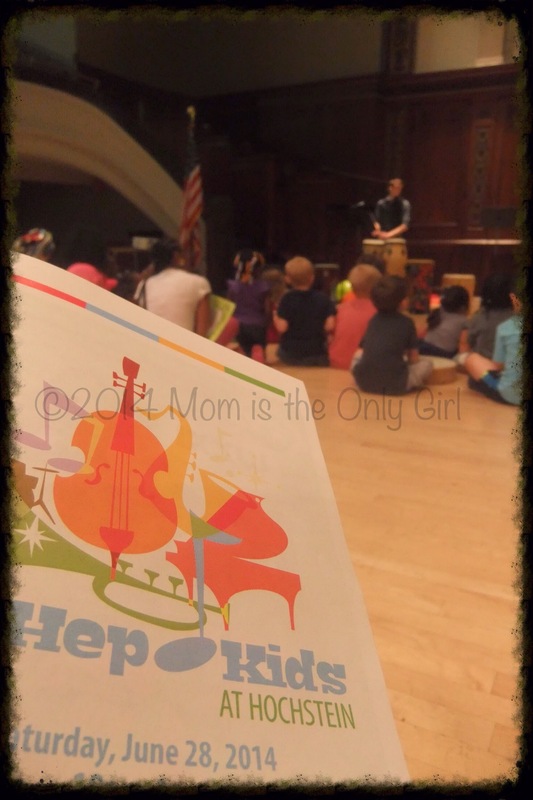 Our favorite two things at HEP Kids this year were joining the head of the music computer lab on stage composing dance music and joining in a drum circle. We learned a little about music composing programs like Garage Band and Figure from Chris Witulski. (Links provided for reference only, not affiliate links.) Sweet Pea and Cutie Pie were right in there trying them out! That’s what Cutie Pie is doing in the above pic. We even downloaded one for the computer and iPad because he was so interested and he loves it! 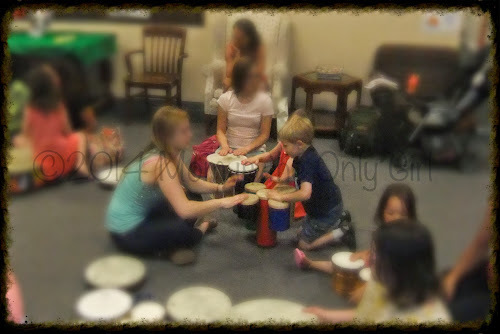 Sweet Pea absolutely loved drumming along with about 30 other kids and adults in a drum circle. He even got to do a solo! Our home is filled with music…volins, violas, basses, keyboard, drums…so it is almost a no-brainer that we would enjoy this particular event, however, I think my family would enjoy this even if we weren’t! Links provided are for reference only and are not affiliate links.